Energy Technologies, Inc. (ETI) offers Tactical Solar Panels to generate power for your mobile electronics and charge batteries for these applications. 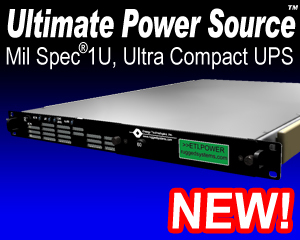 Incorporating Solid State, Thin Solar Cells, these power packs provide an excellent choice for applications that require lightweight, flexible, durable, silent power. Solar cells convert light to electricity and then can store that energy in batteries for later use. Solar battery chargers are a staple for the traveling student or business man. Energy Technologies offers a range of solar-energized panels for your mobile power generation needs. The solar panel of the Personal Solar Pack includes a "kit" of batteries, cables and connectors that can charge USB devices directly or charge a battery pack which in turn can recharge devices internal power packs, or can be used to provide power to USB devices without internal batteries. 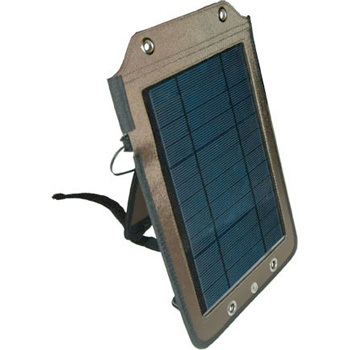 The TacticalSolar® Personal Solar Pack™ Chargers are extremely lightweight and compact. They are designed for users who need portable remote power for laptops, cell phones, satellite phones, GPS units, and other devices or systems. These chargers are small in size and can easily be stowed in a backpack or case, or pouch. • Charge a laptop, cell phone, satellite phone or GPS unit. • Power for remote sensors. • Charge 12V battery systems. • Ultra lightweight for extended missions. • Ultra compact to fit in backpack or laptop bag. • Performs well in diverse environments, including hot, and cloudy environments. • UV resistant / Weather resistant. • Complete with cigarette lighter adapter.